"I've been going to Dr. Wanner's office since I first had any teeth. I'd recommend them to anyone and other professionals will notice a job well done." "I've always had a positive experience! I've NEVER had a cavity, braces, or much work besides cleaning done to them." "We always get a warm reception when we come in. My kids actually get excited when they have an appointment! The staff is always super friendly with them." "They always greet me by name and make me feel well cared for. I would recommend them to any of my closest friends and family." "Going to the Dentist will never be on my bucket list, but the people at All Seasons Dental Care make an appointment a very enjoyable experience." 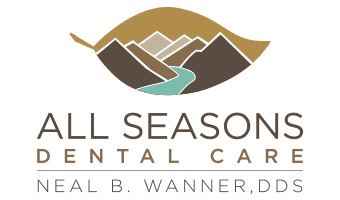 "Dr. Wanner and his staff are professional, friendly, caring, and want to make sure your dental care and your health are top priorities." "I have received my dental care from Dr. Wanner for over 20 years. I have always been treated courteously and everyone in the office has become a friend." "I have been a patient of Dr. Wanner for many years. I have always received excellent dental work! He explains clearly the process and options for the work to be done." "I have been going to Dr. Wanner's office for over twenty years and have always been happy with the service." "I was so impressed by the friendliness of your office; I want to switch dentists! I will call to make my first appointment."